You are here: Home / Articles / Articles / Articles by State / National / Can Omega-3 Help Prevent Brain Damage? Can Omega-3 Help Prevent Brain Damage? Spinal cord injuries (SCI) and traumatic brain injuries (TBI) are dangerous primarily due to secondary swelling which can permanently damage brain and nerve cells. However, a recent study has determined that omega-3 fatty acids may protect the brain from the harmful effects of inflammation. The Karolinska Institutet in Sweden discovered that EPA and DHA (both fatty acids) demonstrated neuroprotective effects that help protect and regenerate nerve cells. 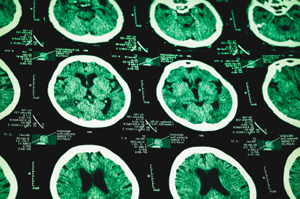 In a TBI victim, the supplements may help preserve brain networks and connectivity, improving the patient’s higher and lower brain functions. When researchers administered DHA within two hours of a spinal cord injury, the fatty acid improved nerve cell survival, reduced inflammation and decreased oxidative stress. DHA still promoted cell survival and function even when administered before the injury. Omega-3 fatty acids naturally produce “resolvins,” classified as such because they “resolve” inflammation in the brain. The particles help reduce the risk of cognitive impairment after a surgery or critical illness. Researchers believe these compounds can also promote healing and tissue regeneration. If the findings are consistent in later trials, fatty acids may prove crucial to treating TBI and SCI victims in the future. https://www.askthelawyers.com/wp-content/uploads/2018/05/Asset-2-300x40.png 0 0 AskTheLawyers™ https://www.askthelawyers.com/wp-content/uploads/2018/05/Asset-2-300x40.png AskTheLawyers™2014-07-21 12:00:532018-04-09 12:06:14Can Omega-3 Help Prevent Brain Damage? Paint Creek Fire District Rewarded for Safety Excellence Why do Hotel Workers Sustain More Injuries?